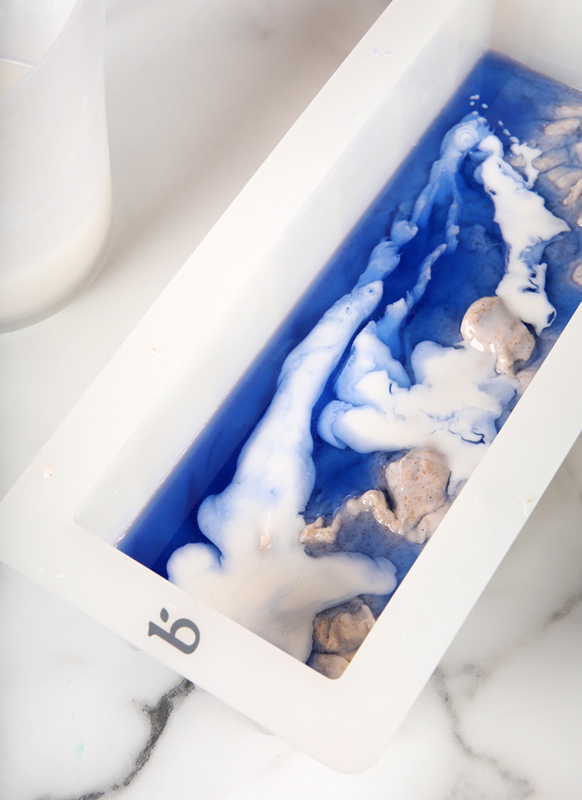 Melt and pour soap is a great option for beginners. 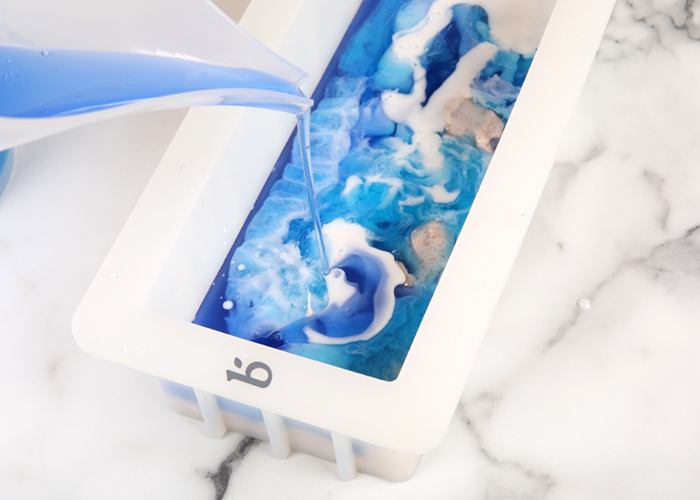 All you have to do is melt the premade base, customize it with your favorite colors and scents, and pour into a mold. Once you get the hang of the process, you can experiment with advanced techniques like layers and swirls. 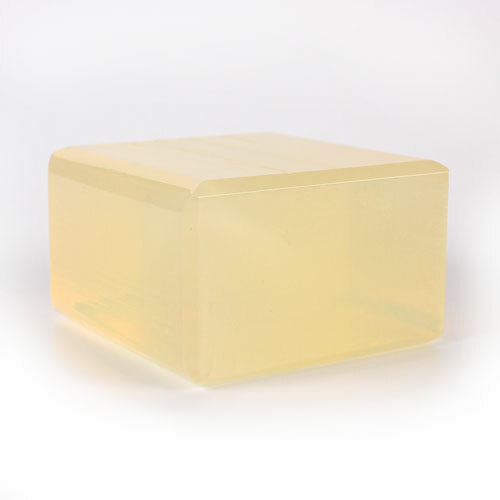 Cold process soap is made by combining oils and sodium hydroxide lye. That causes a chemical reaction called saponification – learn more here. Melt and pour soap has already gone through that process. That means you don’t have to handle lye, you can focus on the design, and you don’t have to cure the soap – it’s ready to use as soon as it’s cool and hard. It’s great for kids as well. Below you’ll find melt and pour terms, tips, and tutorials. 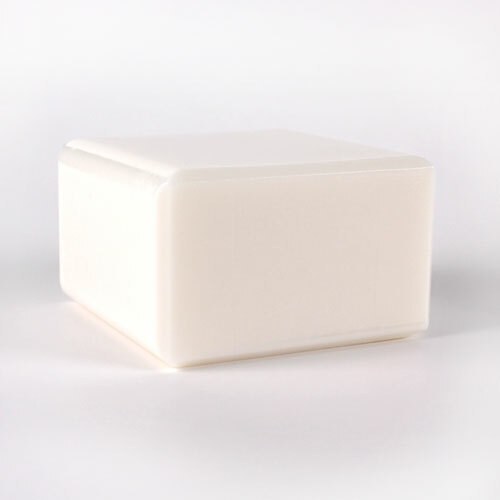 Soap base: There are several options to choose from when selecting a base. Clear and White Melt and Pour is a good place to start. They’re simple, cleansing, and ready to customize. The clear base will have more bright colors, while the white will have more pastel colors. You can also try bases with additives like shea butter, goat milk, or aloe vera. Find all the bases here, and learn more about them in this blog post. Fragrance: You can scent your soap with fragrance oils or essential oils. A general usage rate is about 0.3 oz. of scent per pound of soap. Find light, medium, and strong recommendations with the Fragrance Calculator. It’s important to use skin-safe scents like the ones from Bramble Berry. Potpourri, craft, or candle fragrances may not be skin safe or tested in soap. Be sure to check with the manufacturer before use. 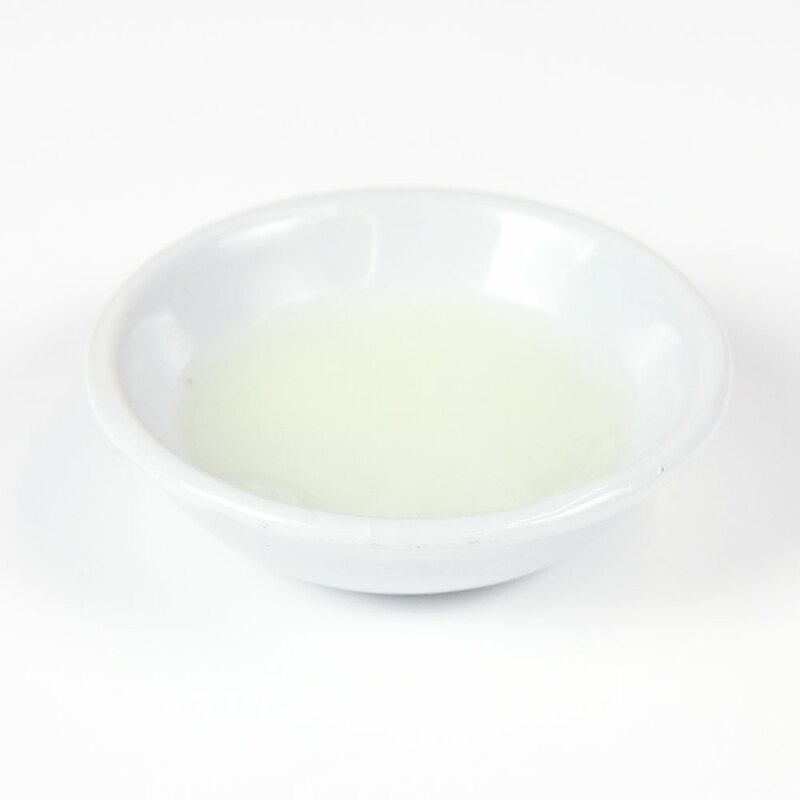 Glycerin: Glycerin is a natural byproduct of the saponification process. It’s one of the reasons handmade soap feels so amazing – it draws moisture to the skin and keeps it hydrated. Additional glycerin is added during the melt and pour manufacturing process to make it easy to work with. It can also cause the soap to sweat in humid climates, so make sure to wrap your bars and keep them in a cool, dry place. Learn more in the Explaining and Preventing Glycerin Dew post. Molds: You need to use a mold that can withstand higher temperatures so it doesn’t melt when you pour in hot soap. You also want it to be flexible so it’s easy to unmold the bars. 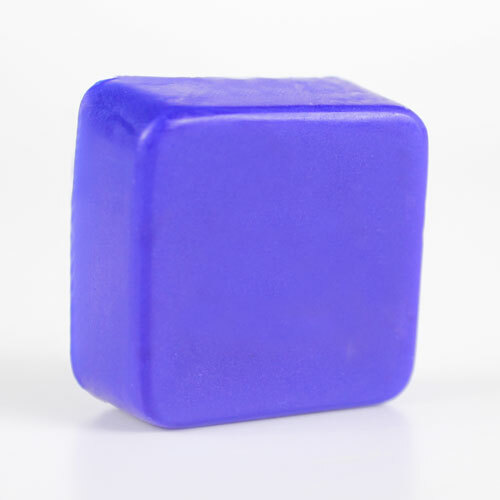 We love silicone and plastic molds for melt and pour, you can find those here. Colorants: There are plenty of options for coloring melt and pour soap. Micas and color blocks are easy to use and they look great in the finished bars. 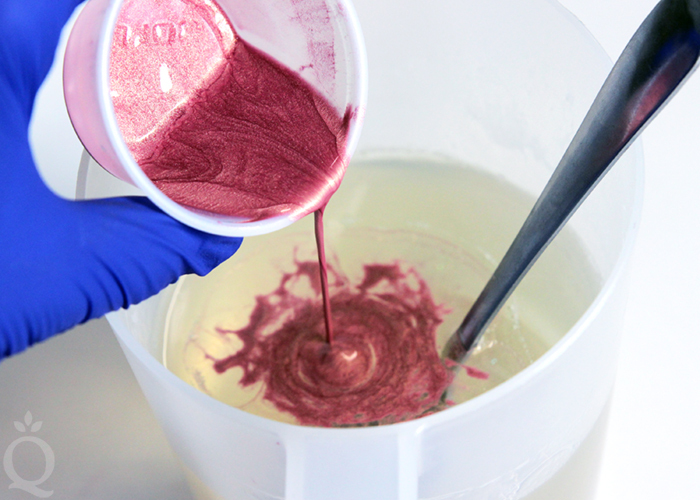 Learn more about how to work with our skin-safe soap colorants in this post. We don’t recommend options like food coloring or crayons because they haven’t been tested or approved for use in soap. They tend to morph, fade, or bleed. Safety: Soap bases start to melt around 120F. Use heat-safe tools and handle with care – melted soap can hurt if dripped or splashed on skin. When crafting with children, they should be old enough to hold their own containers and an adult should be present at all times. This post was updated in August 2018. Find the layered soap recipe here. 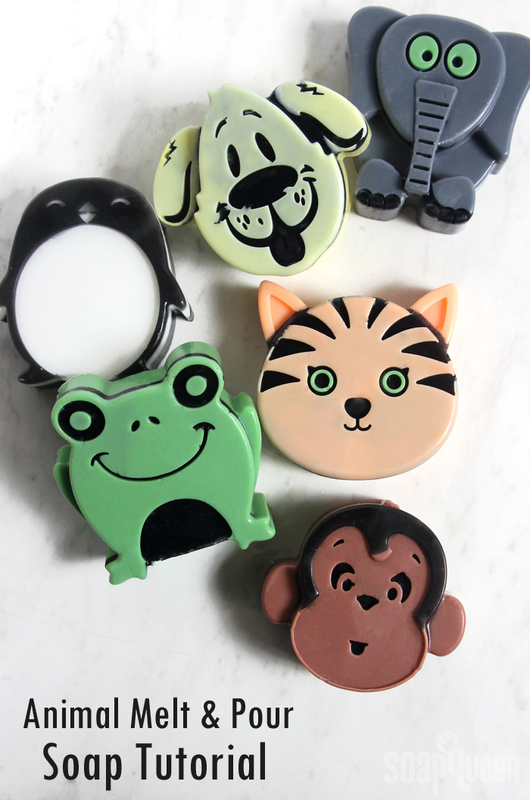 If you’re looking for a project to delight kids and animal lovers alike, these adorable Animal Melt & Pour Soaps will be perfect. 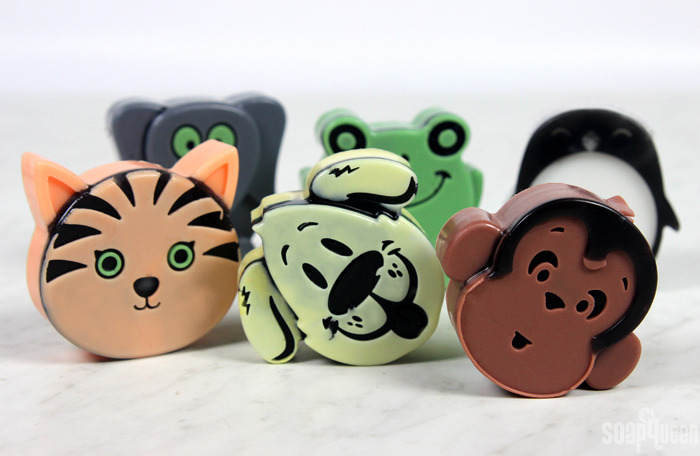 They are made in the new 6 Cavity Kids Animal Silicone Mold, which features six different animals: a cat, dog, monkey, elephant, frog and penguin. Each cavity includes plenty of detail, which gives each critter personality. Filling in the details with various colors of soap help each detail pop. To help in this process, an Injector Tool, Clean Up Tool and a bottle of 99% isopropyl alcohol are crucial for this project. This is a more advanced melt and pour project. It requires an understanding of how melt and pour soap behaves at different temperatures, as well as knowledge of how to layer melt and pour. That being said, you can simplify this project if you like. 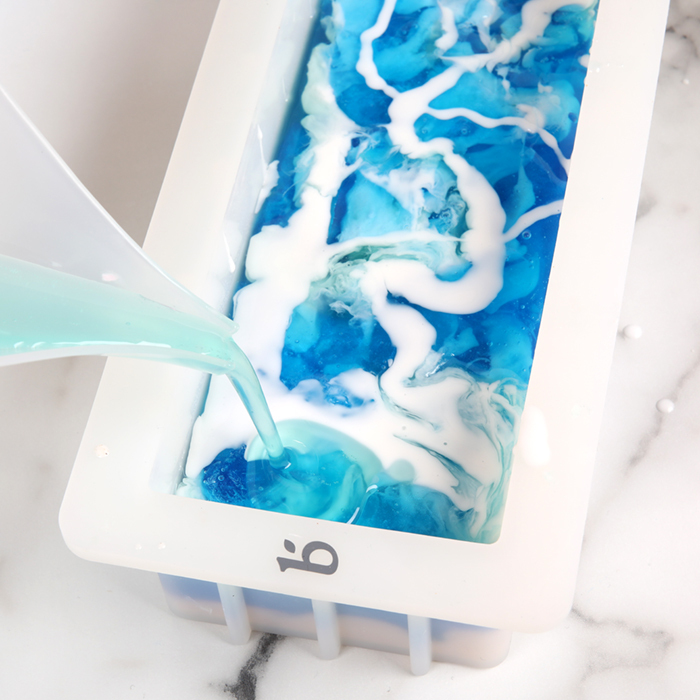 Simply pouring one color for each soap still results in adorable bars. Simplifying the project makes it a great DIY for kids and beginners. 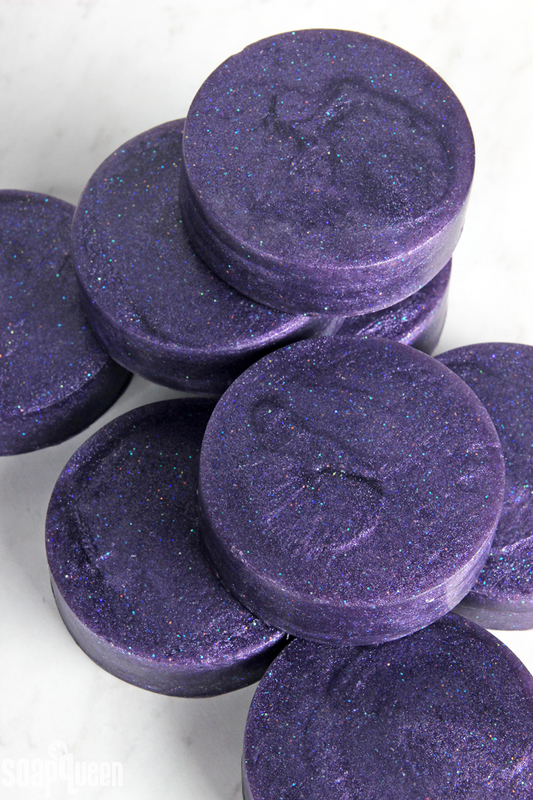 The bars are scented with Sugared Grape Fragrance Oil, which smells like sweet grape soda. It’s perfect for kids who can’t get enough peanut butter and jelly, or sugary candy! 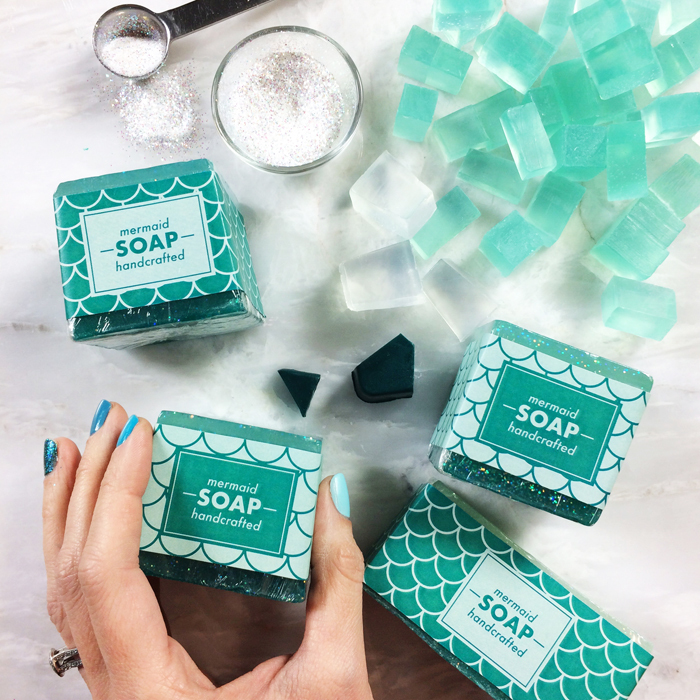 With ombre aqua blue layers and plenty of sparkle, this soap is fit for a mermaid. 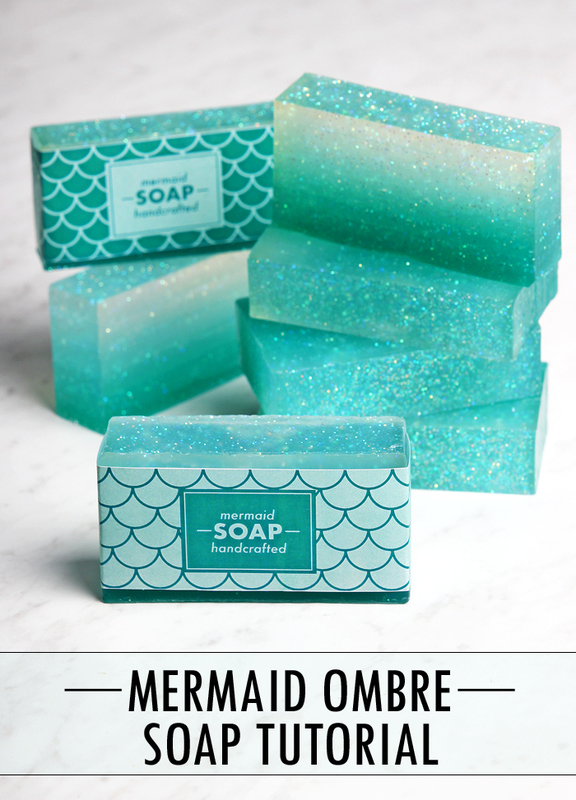 It’s made with ingredients in the Mermaid Ombre Soap Kit, which includes everything you need to make this project. This recipe is for one batch but the kit comes with enough to make two batches. It has printed instructions and labels to give the bars a finishing touch. The kit also ships free to the lower 48 United States! 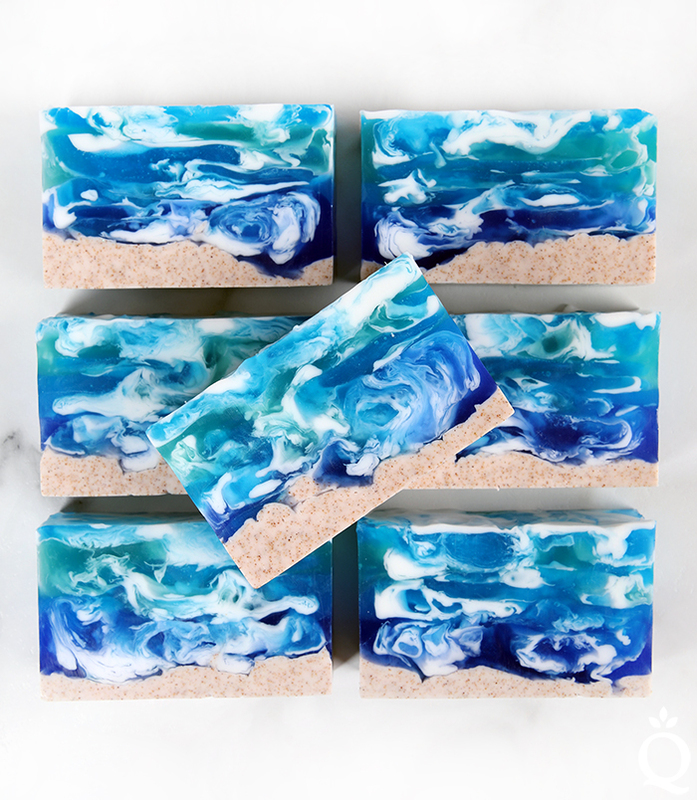 The ombre layers are created by melting down all the soap, pouring a small amount into the mold, then adding shavings of the Hydrated Chrome Green Color Block to the remaining soap. As you continue to pour each layer and add more color, the color becomes increasingly saturated. 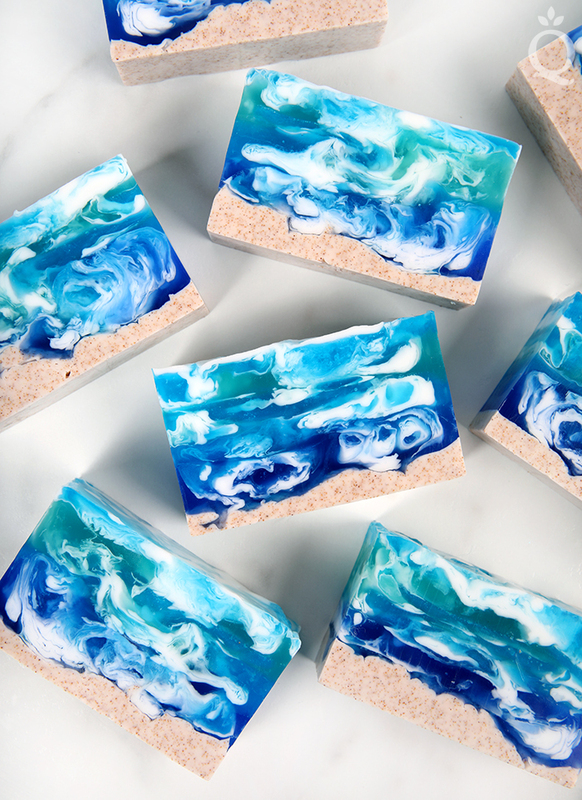 By the time you pour the last layer, the soap is a deep aqua blue. During winter, everyone get a craving for fresh berries. But fresh berries are expensive off season. Don’t feel like paying an arm and a leg for a pint of blueberries? 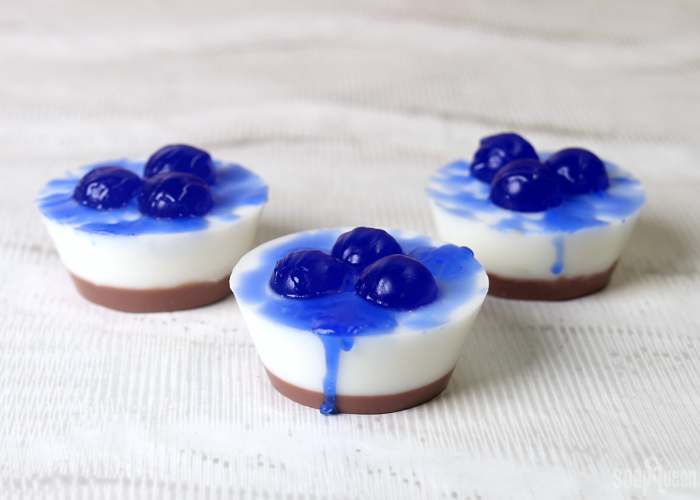 Make one of these Blueberry Tart Melt & Pour Soaps instead! 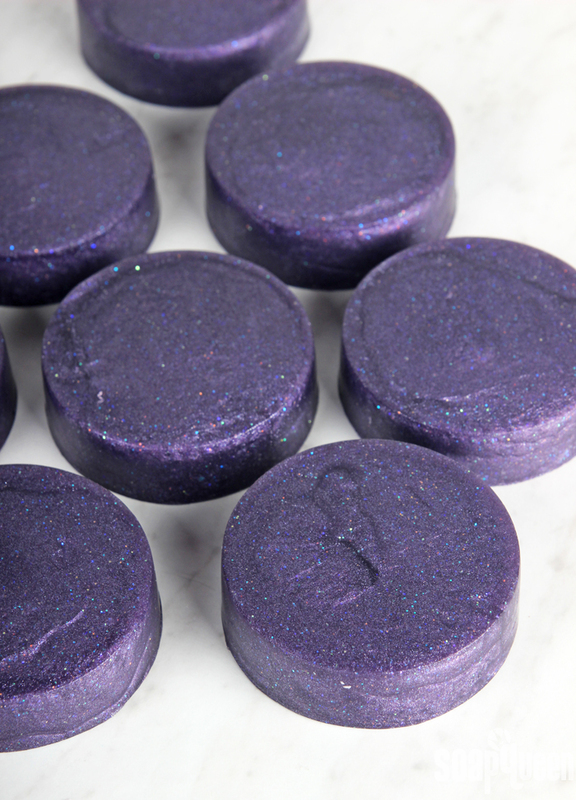 Made with Blueberry Jam Fragrance Oil, they smell sweet and juicy. First, a small layer of brown soap is poured into the Round (Cupcake) Silicone Mold to create the look of a crust. 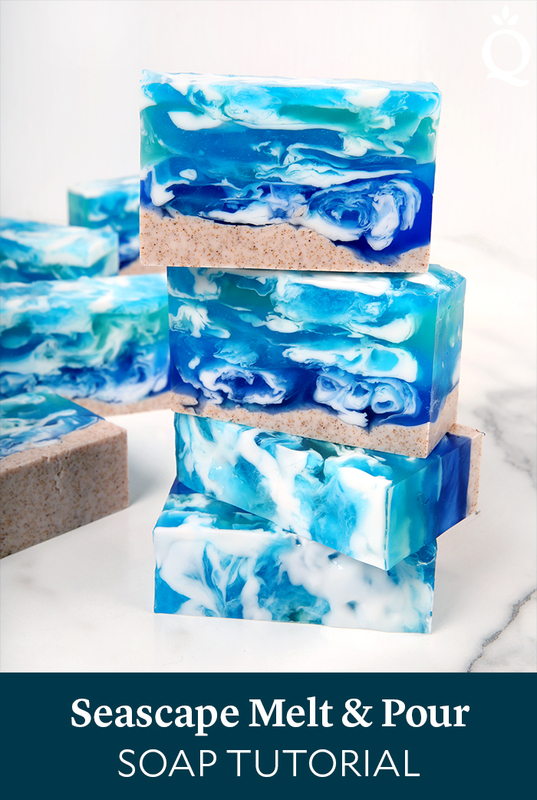 White soap is layered on top, and is finished with blueberry soap embeds and a soap drizzle. 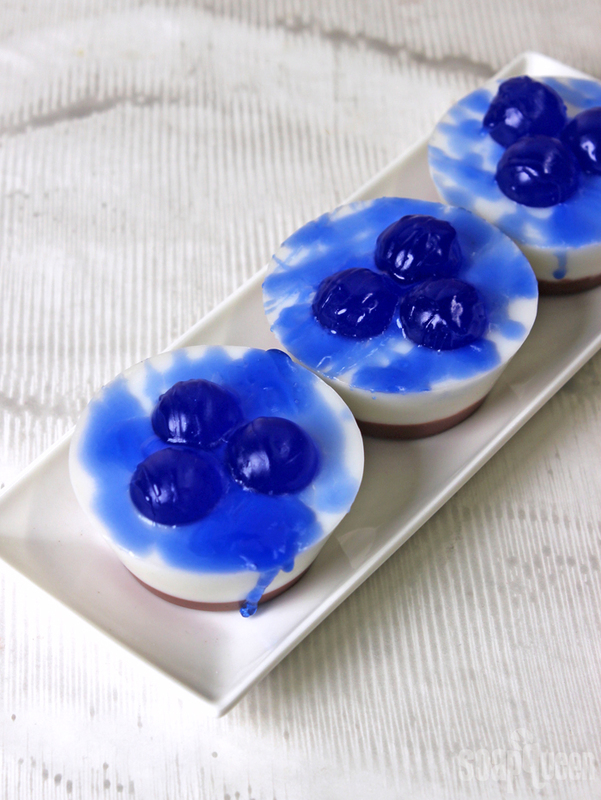 The “blueberries” on top are created with the Small 9 Ball Silicone Mold. For this project I used two Small 9 Ball Silicone Molds to create three blueberry embeds for each soap. 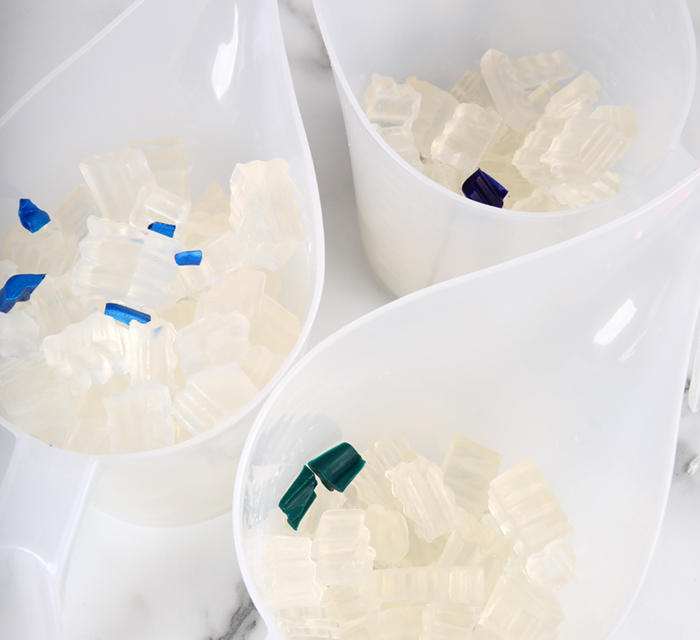 If you only have one mold, create the embeds in two batches. Because this soap does involve a few layers, I recommend having a spray bottle of 99% isopropyl alcohol nearby. Spraying alcohol between the layers helps the soap stick together. It’s also great for getting rid of bubbles right after pouring. 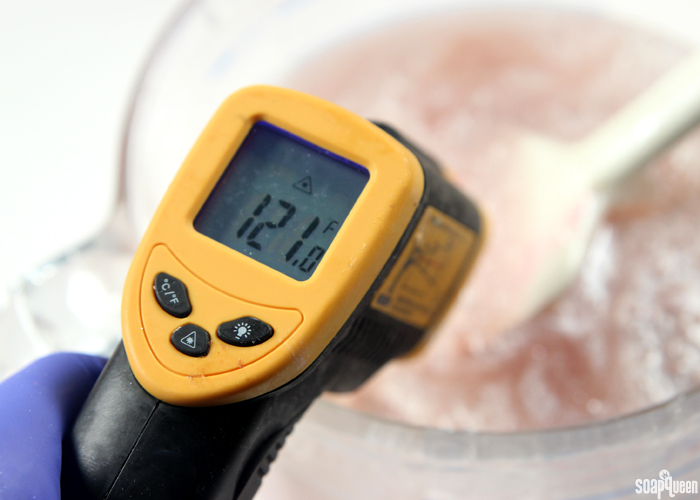 A thermometer is also handy for melt and pour layers. If the soap is too hot, it can melt the layer below. I recommend pouring the top layers around 120-130 degrees F to avoid melting. When I post a new tutorial, I’m often asked if it can be made with melt and pour or cold process soap instead. The answer depends entirely on the design and technique of the project. Simply put, some cold process techniques can be recreated with melt and pour and some cannot, and vice versa. This is because the texture and behavior of cold process and melt and pour is extremely different. Below, I go over a few cold process soap techniques that can and cannot be created with melt and pour soap, and what to consider when recreating a cold process recipe with melt and pour soap. 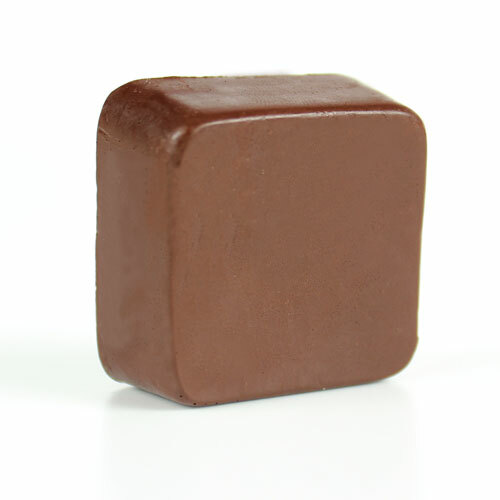 Cold process soap batter is fluid for much longer than melt and pour. It can be manipulated to be thick and pudding-like, or thin and liquidy. Melt and pour soap is always thin, and begins to cool and harden quite quickly. Unfortunately, this means creating some cold process swirls with melt and pour soap is very difficult (if not impossible). Swirl techniques like the linear swirl, spin swirl and hanger swirl require time swirl the soap batter. Techniques that require lots of pouring like the funnel pour or column pour also require several minutes to work with the soap. 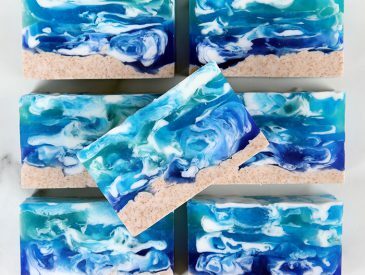 These techniques cannot be recreated with melt and pour soap because it hardens too quickly. 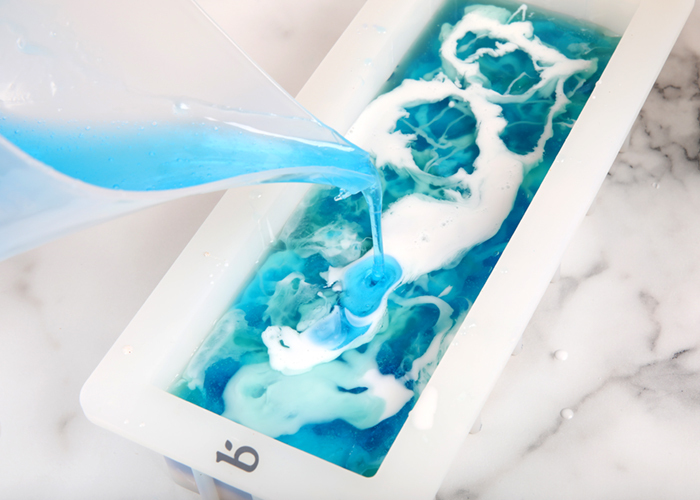 Once melted, melt and pour soap immediately begins to cool down. It begins to harden around 120 degrees. As it cools, it becomes thick and a skin forms on top. The time it takes for melt and pour soap to begin to harden from its melted, liquid state is about 60-90 seconds. 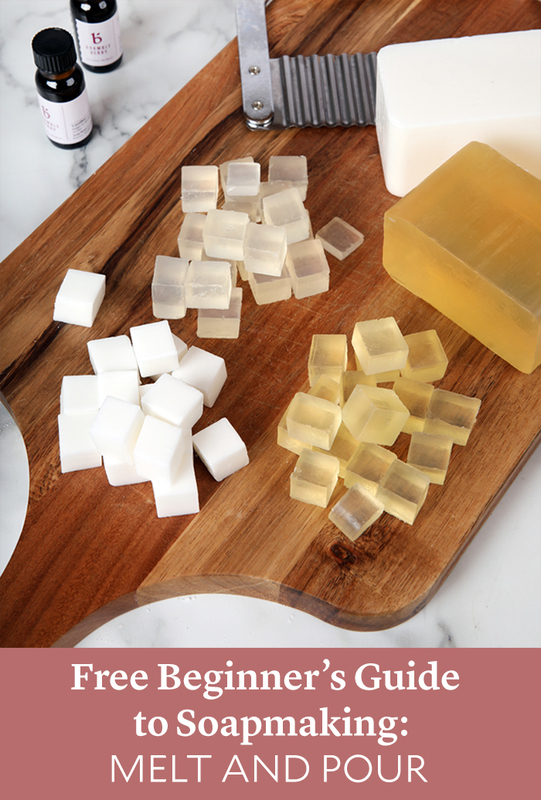 On the other hand, cold process soap can stay liquid for 5 minutes or more, depending on the recipe, fragrance oil and how the stick blender is used. 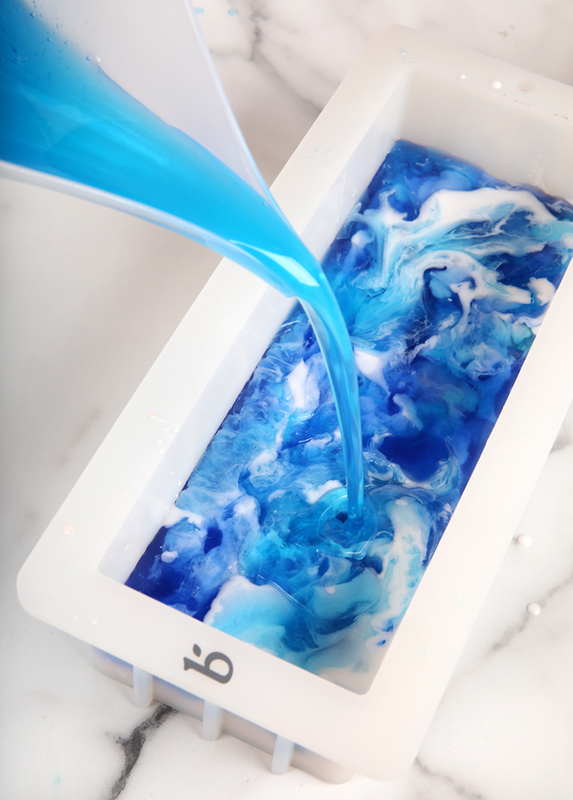 Simply put, the nature of melt and pour soap doesn’t give enough time to create the same swirls as cold process. 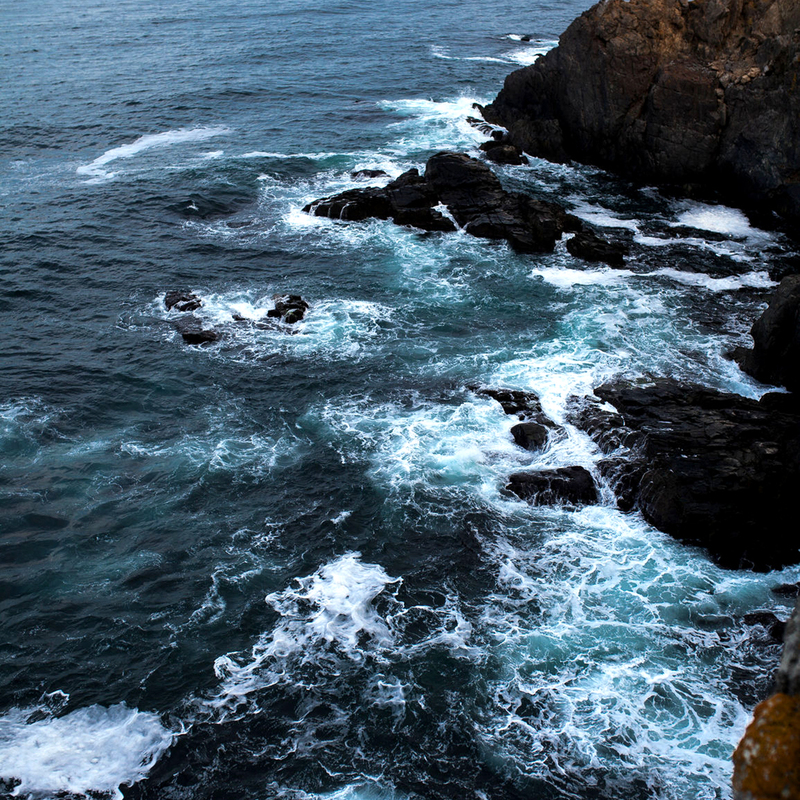 As it hardens, it also thickens and becomes a little “gloopy.” This texture just doesn’t work well for swirls. The other problem with creating swirls with melt and pour is the thin texture makes it difficult to keep colors separate from each other. For example, linear swirls are created by layering strips of cold process soap beside and on top of each other, as shown here and in the photo below. 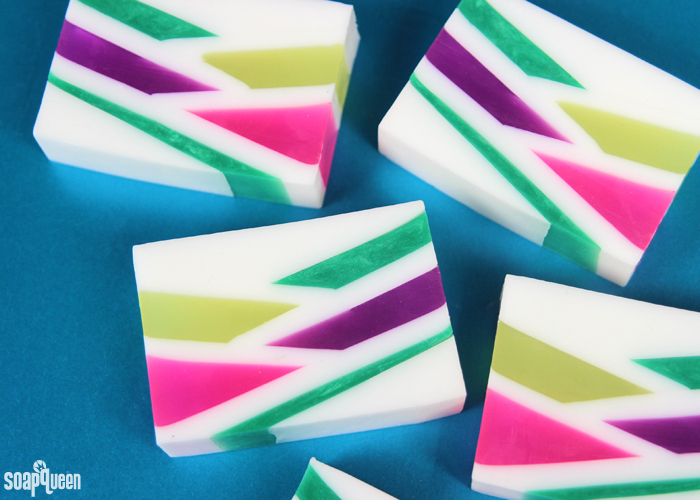 Because the texture of melt and pour is so thin, the soap spreads out instead of keeping distinct lines of color. Long story short? Many swirl techniques can only be created with cold process soap. The texture of cold process soap allows you to pour distinct lines that hold their shape, as shown above. Melt and pour soap does not behave the same way. That being said, it’s not impossible to create swirls with melt and pour. They just look very different from the swirls you can make with cold process soap. 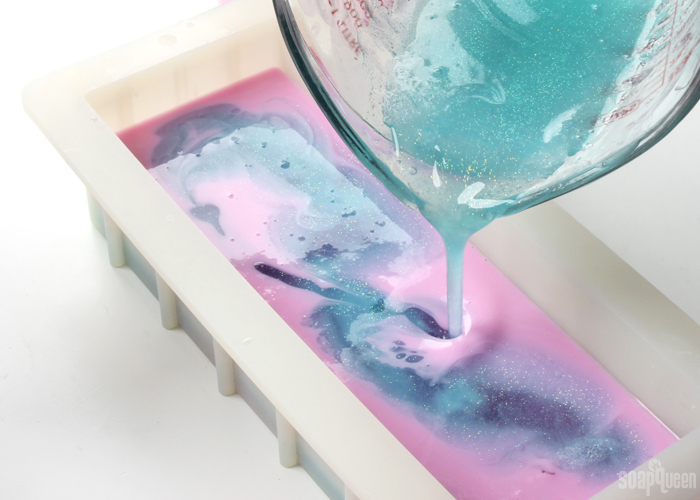 For example, in the Cosmic Cotton Candy Soap Tutorial, various colors of melt and pour soap are poured together in layers. The final bars are full of swirls, texture and movement. It looks beautiful, but very different from cold process swirls. 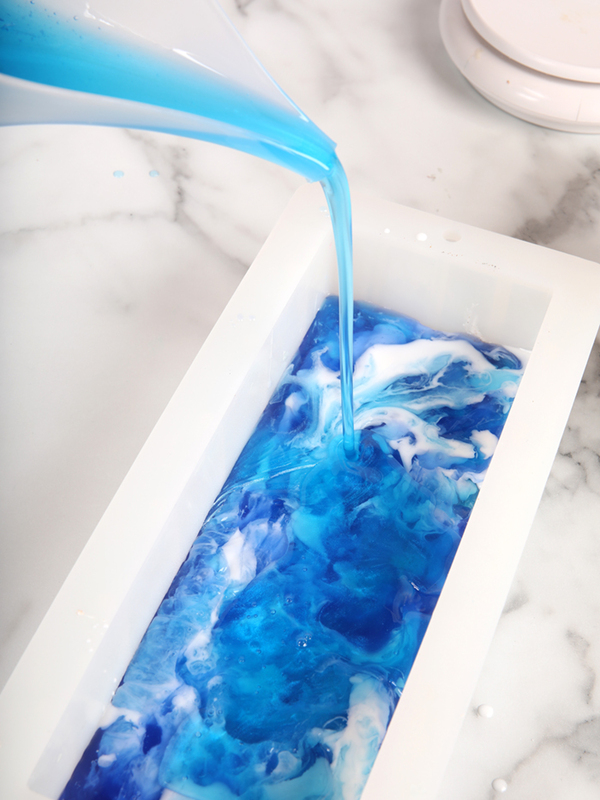 For tips on swirling melt and pour soap, check out this post. 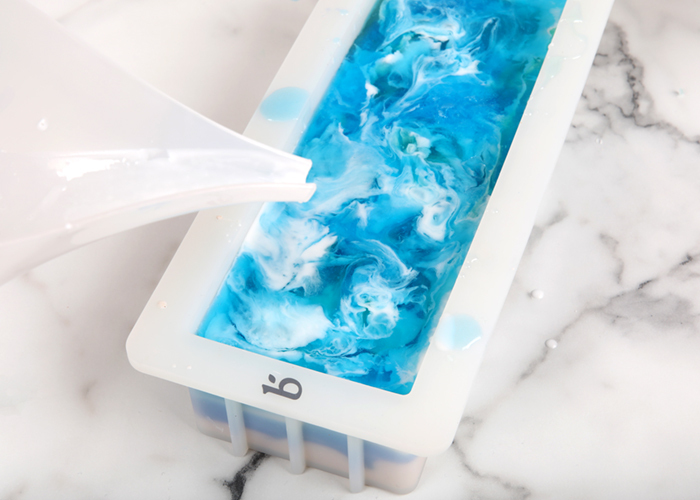 Swirls are not impossible with melt and pour soap, but they just won’t look like cold process swirls. Some swirl techniques might not be possible with melt and pour soap, but layers are a different story! 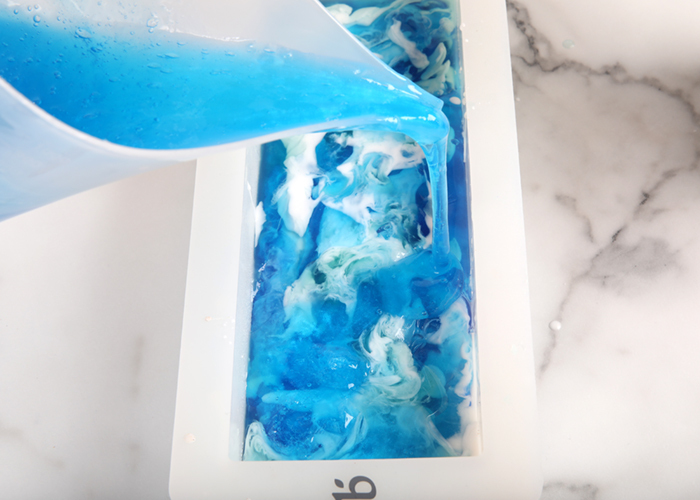 Creating straight and clean layers with melt and pour soap may be easier than creating layers with cold process soap. Melt and pour layers can be poured with a long time period in between. This allows the bottom layer to harden and support the layer above. You do need to be careful with temperature, because if the top layer of soap is too hot it can melt the layer below. 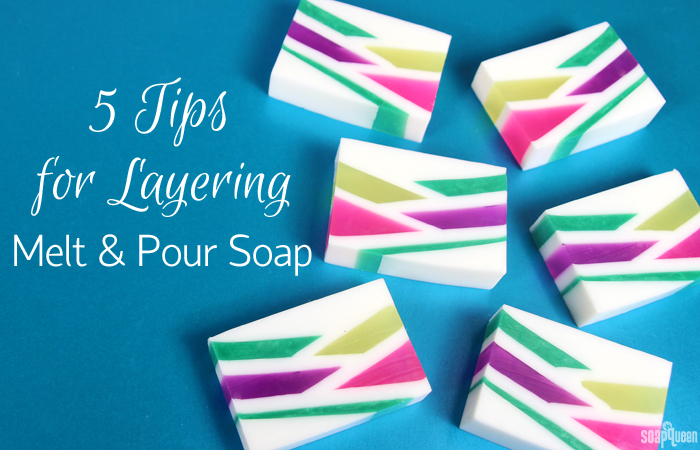 The hardest part about creating layers in melt and pour soap may be the patience it requires! 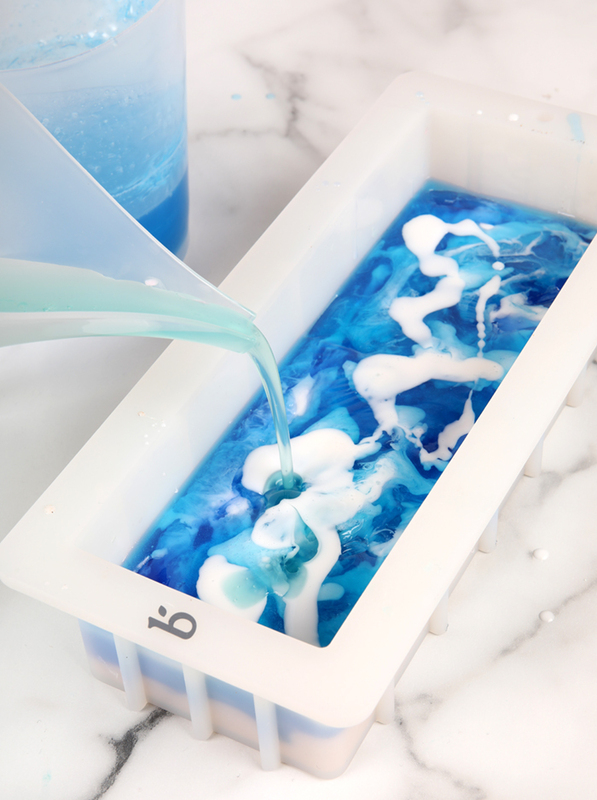 For more tips on layering melt and pour soap, check out this post. Cold process soap can be made and poured in batches, but it does involve more prep work. It’s also possible to create straight lines with cold process all in one batch, but it’s an advanced technique that involves a good understanding of trace. If, for example, the bottom layer of soap is thin trace, a thick layer on top may fall into the bottom layer. If you want to create layers that are not perfectly straight, cold process soap is the way to go. 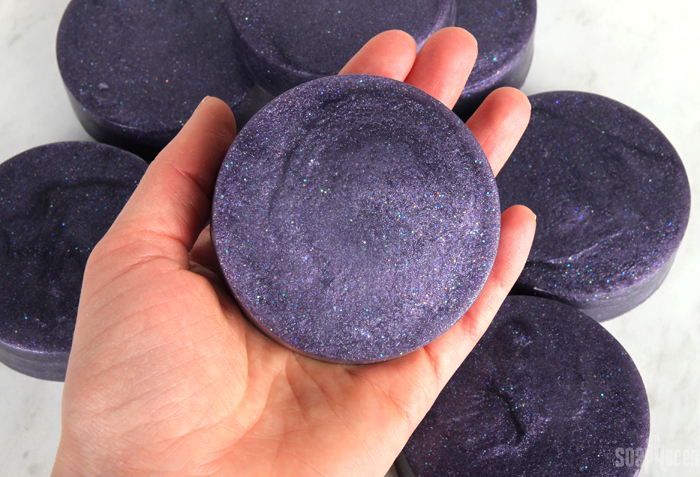 You can find examples of this in the Violet Confetti Cold Process Soap Tutorial, Watermelon Cold Process Soap Tutorial, and the Natural Colorant Rainbow Cold Process Soap. Melt and pour soap does not hold its shape like cold process soap, because it can not be manipulated to a pudding texture. If the cold process project you’d like to re-create with melt and pour has a textured top, I’ve got some bad news. The thin, liquid texture of melted melt and pour soap can not be manipulated to create a textured top, like cold process. 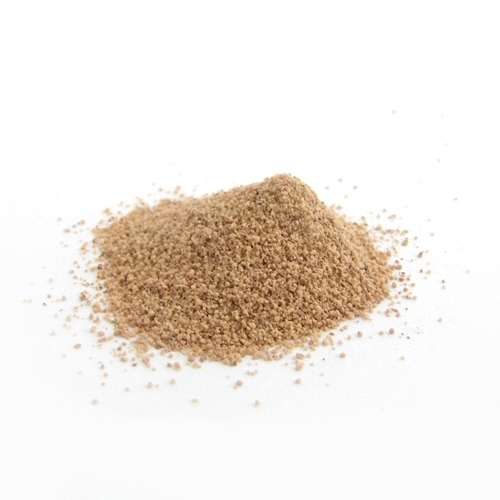 Cold process soap batter with a medium to thick trace has a texture similar to pudding. 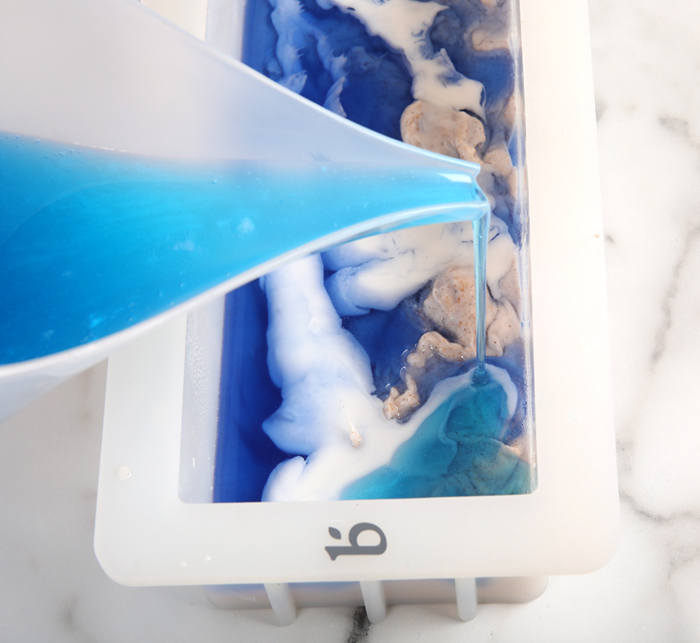 You can use a spoon or spatula to move the soap around to create peaks and divots, and it will keep its shape. In the video below, once the soap is poured into the mold, a spoon is used to mound the soap up in the center. Unfortunately, this texture cannot be achieved with plain melt and pour soap. That being said, you can add some ingredients to melt and pour soap to create a texture that is more similar to cold process. 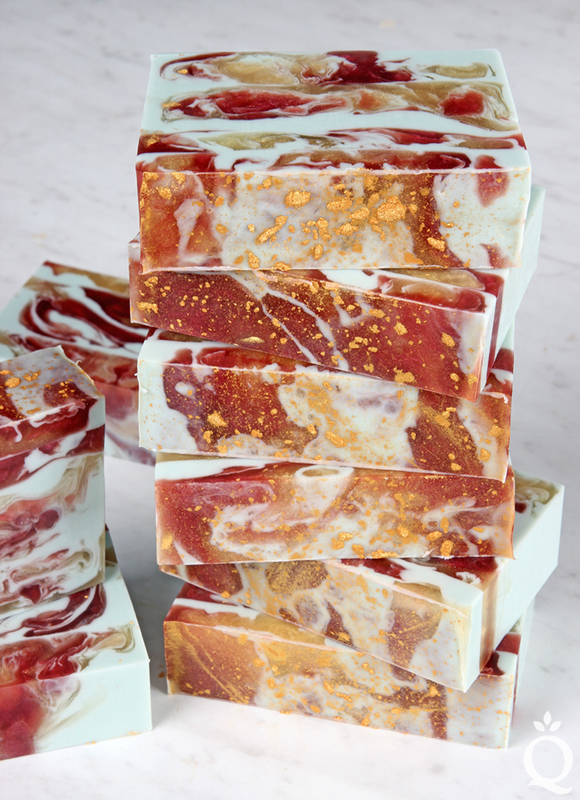 One example is shown in the Reimagining Honey Ale Melt and Pour Soap. 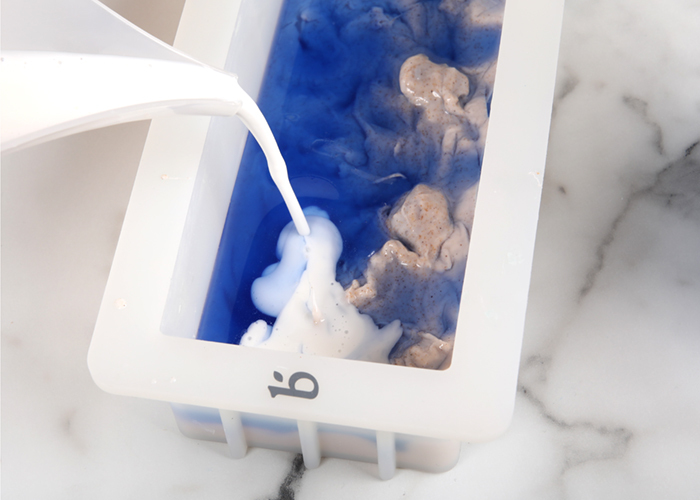 Melt and pour soap base is whipped together with liquid soap, giving it a more “foamy” look. A similar technique is used in the Soap Cupcakes with Whipped Frosting video below. It won’t behave in the same way as thick cold process soap, but it’s a little bit closer! 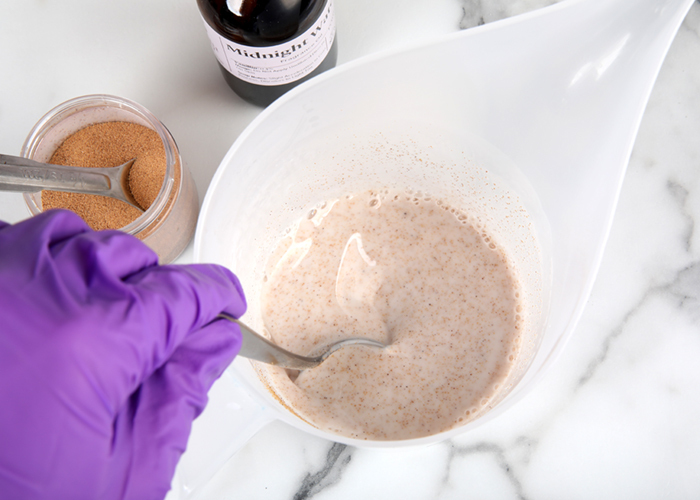 If you’re recreating a cold process design with melt and pour (or the other way around), it’s important to consider the type of colorant used in the recipe. Some colorants work better for cold process soap than melt and pour, and vice versa. For example, pigments and oxides are great in cold process soap, but not all micas work well in the high pH environment. For melt and pour soap, micas work great and oxides and pigments can be a little trickier to incorporate. 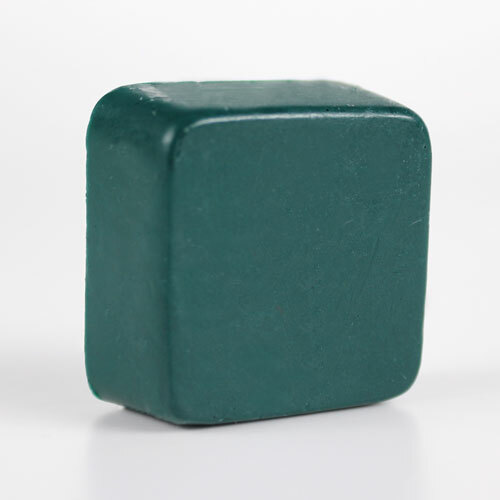 Click here to learn about the different types of soap colorants, and which work best for cold process versus melt and pour. 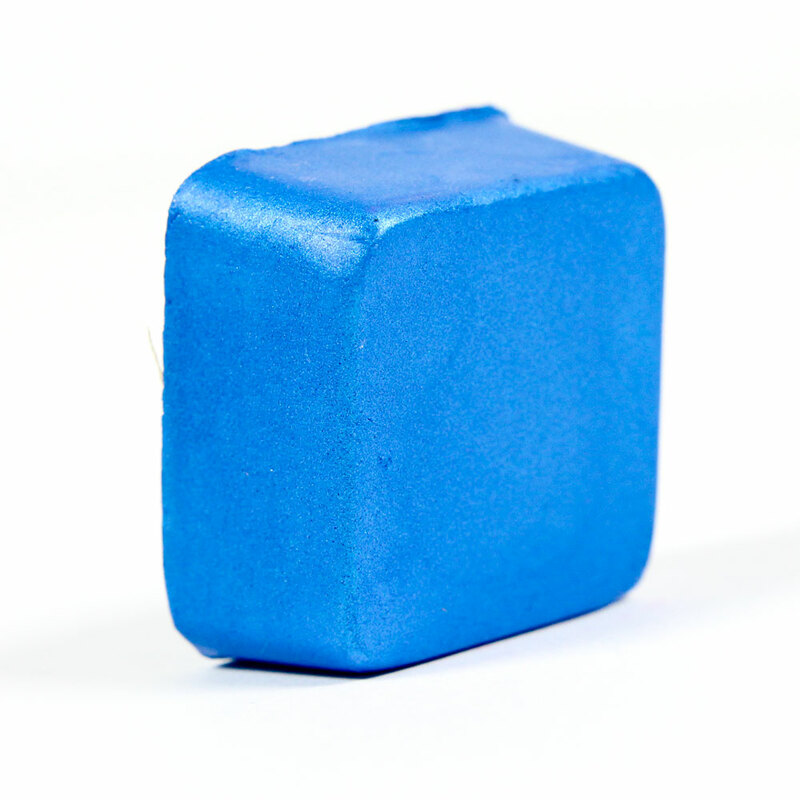 How colorants are added to the cold process soap and melt and pour varies as well. 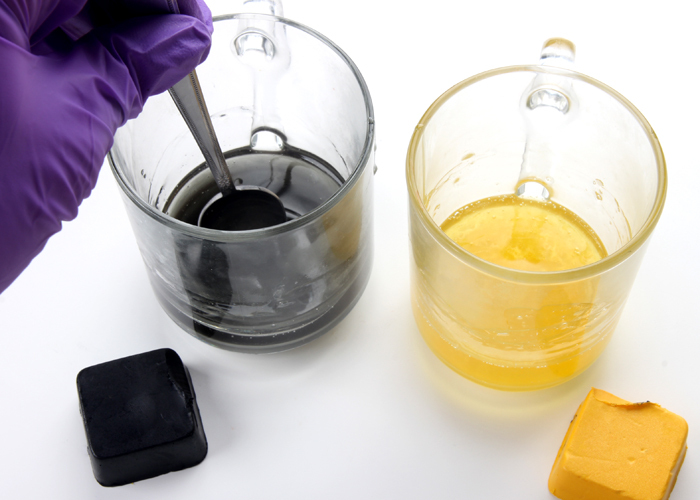 For example, pigments and oxides need to be dispersed in oil before being added to cold process soap. This helps avoids clumps. 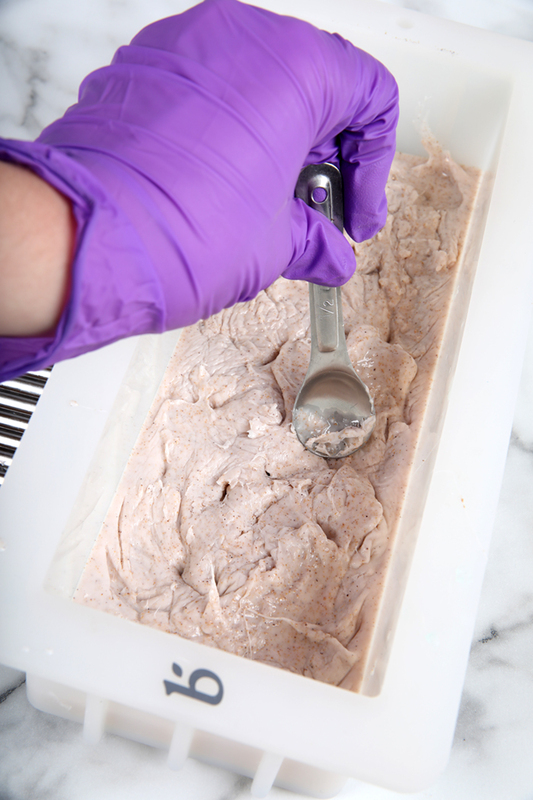 Learn how to prep colorants for cold process soap here. For melt and pour soap, colorants are best dispersed in 99% isopropyl alcohol or a small amount of glycerin. Adding extra oil to melt and pour soap can inhibit the lather and affect the texture. The amount of colorant needed for the project will most likely change as well. 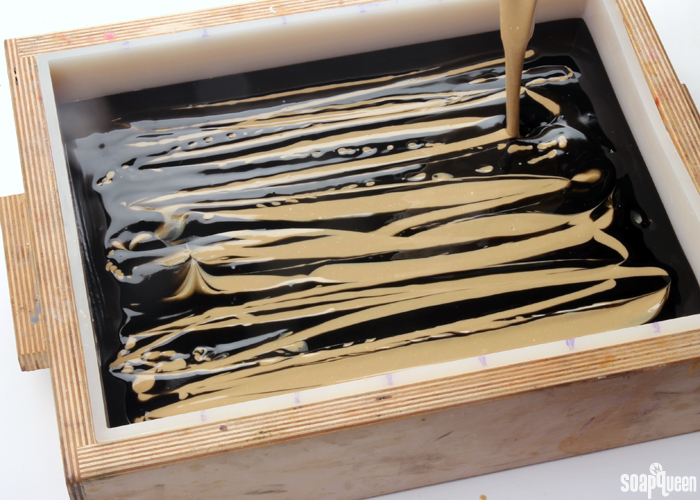 Color Blocks are specifically designed to color melt and pour soap, but don’t work well in cold process. 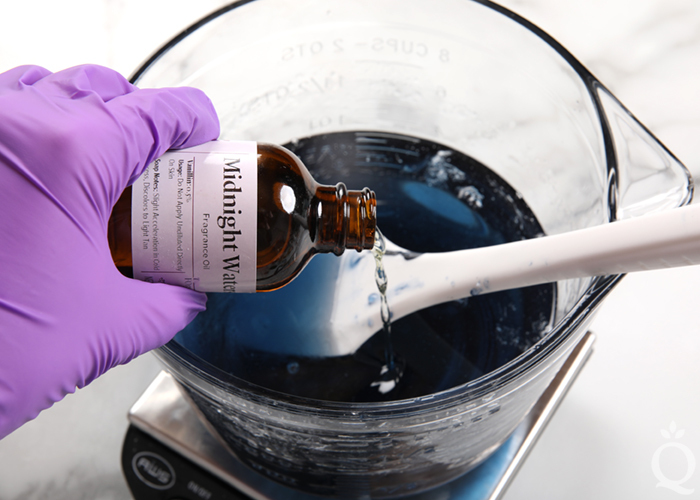 When it comes to fragrance oils in melt and pour versus cold process soap, almost all fragrance oils at Bramble Berry are appropriate for both projects. But, some fragrances oils cause interesting effects in cold process soap, like ricing or acceleration. When working with melt and pour soap, you don’t have to worry about these things. Fragrance oils can also discolor soap brown if it contains a lot of vanillin. 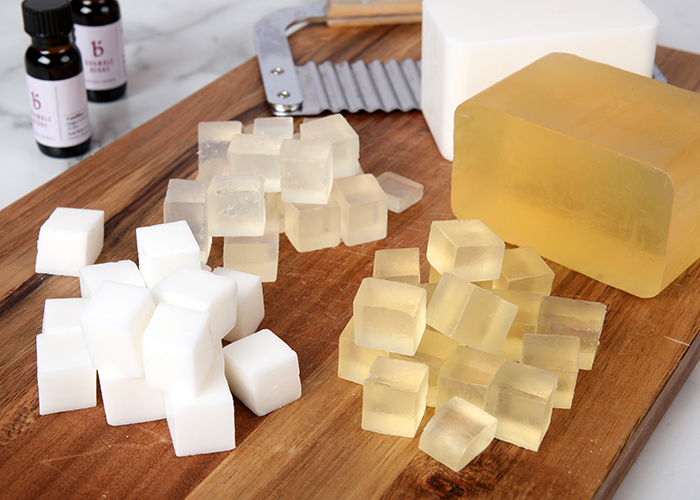 If a fragrance oil discolors, you can use Vanilla Color Stabilizer in melt and pour soap to prevent the discoloration. Unfortunately, Vanilla Color Stabilizer is not reliable in cold process soap. Learn more about vanilla discoloration here. There are a variety of different types of soapmaking molds including silicone, wood and plastic. Some molds are better for cold process soap or melt and pour. For example, silicone molds are great for both cold process soap and melt and pour soap. But, plastic molds don’t work as well for cold process soap. When recreating a recipe, take the type of mold into consideration. Learn more about different types of molds and their pros and cons here. 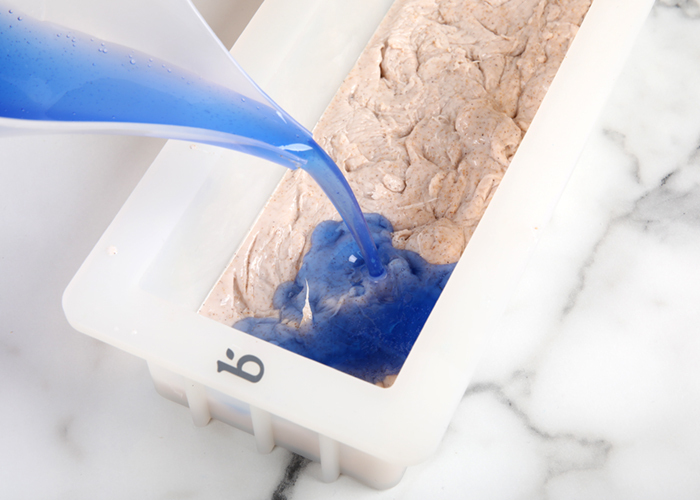 Plastic molds work better for melt and pour soap than cold process soap. Phew! 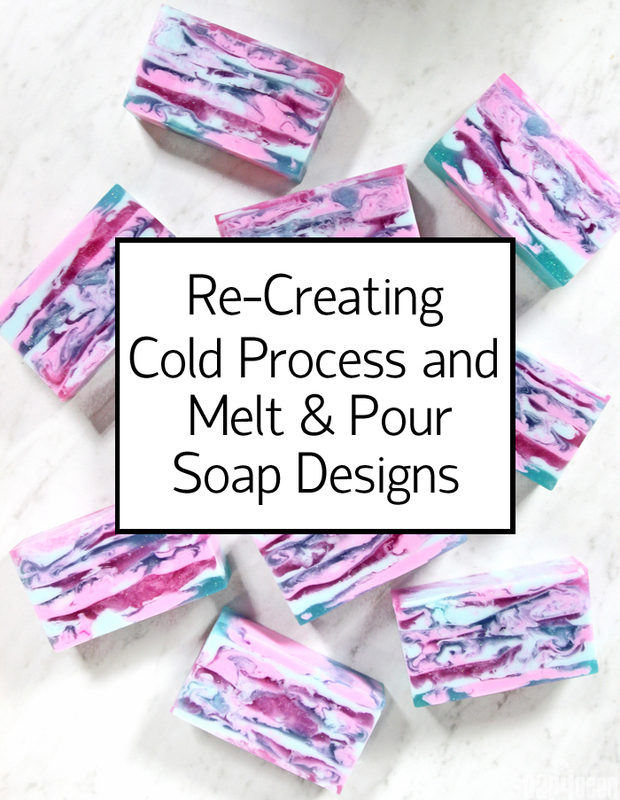 As you can see, there are a lot of factors to take into consideration when recreating a cold process soap with melt and pour, or vice versa. Some projects are easy, and just need a few ingredient swaps. 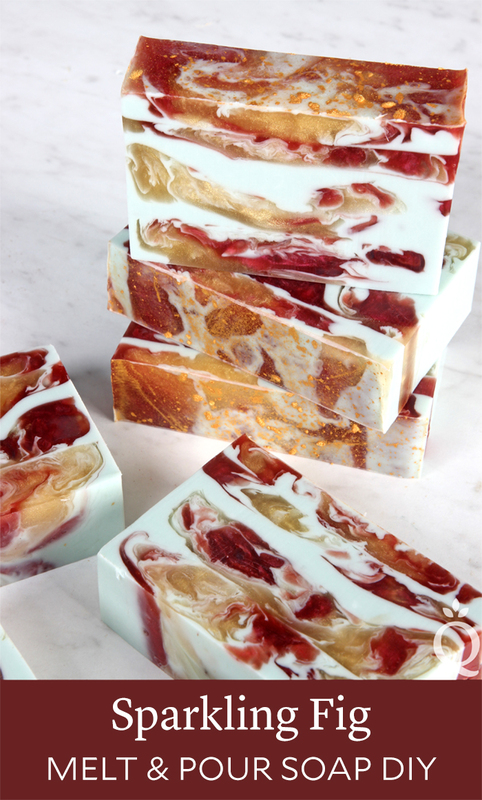 Others cold process projects like swirls and textured tops are really hard to re-create with melt and pour soap. Rhubarb is such a distinct scent. As soon as you read the word, you likely remembered the smell right away. For me, the scent makes me think of rhubarb pie. I love it so much I decided to make a Berry Rhubarb Crumble Cold Process Soap with Red Berry Rhubarb Fragrance Oil. That got me thinking – what about a melt and pour version? 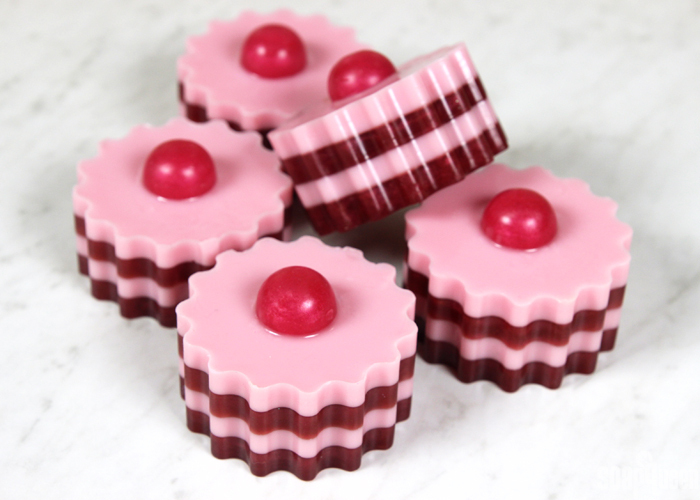 Thus these Red Berry Melt and Pour Soap Tarts were born! These tarts are all about the layers. Soap colored with Shimmer Merlot Sparkle Color Block and Shimmer Magenta Color Block is layered into the Silicone Scalloped Round Mold. 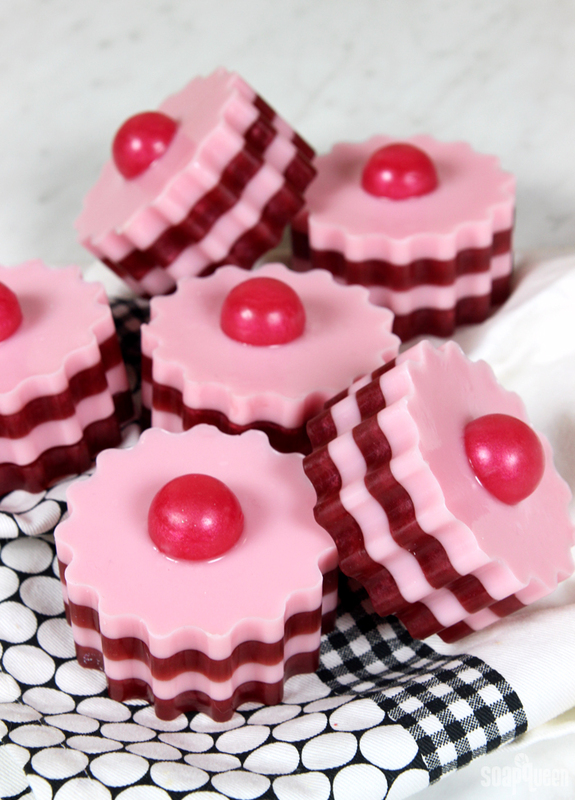 Then, the soap is topped with a cute magenta embed. It smells delicious from the sweet and tart notes in the Red Berry Rhubarb Fragrance Oil. Layers do take time and patience (and plenty of 99% Isopropyl Alcohol), so I recommend making these soaps when you have a little time on your hands. Invite a friend or two over to make soap, and enjoy each other’s company while you wait to pour the next layer. I recently made melt and pour soap with a few girlfriends who had never soaped before. It’s a great afternoon project, and it’s so fun to share your craft with those close to you. Here on the western side of Washington state, we don’t get a lot of snow. Luckily, the mountains are nearby when we want to enjoy skiing, snowboarding, sledding, or just building a snowman. Personally, I have my fingers crossed for a little snow below the mountains this year; our yard has a little hill that would be perfect for sledding! 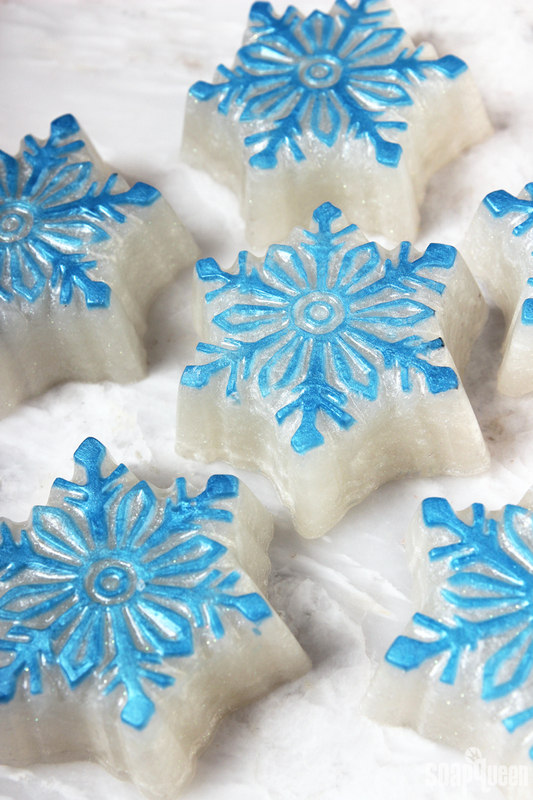 These soaps are scented with Fresh Snow Fragrance Oil, which is a clean, ozone-y fragrance. It reminds me a bit of clean laundry. 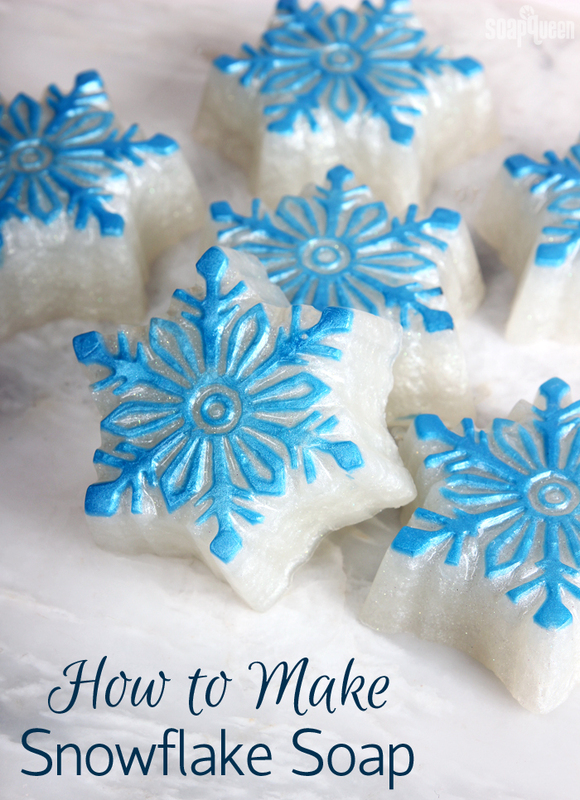 A small amount of soap is colored with Slushy Blue Mica and placed in the snowflake details with an Injector Tool. This does take require a steady hand and a little patience. Having a spray bottle full of rubbing alcohol helps the soap “spread” into the details more easily, and a Clean Up Tool is great for fixing any mistakes. Some soapy projects put a smile on your face. 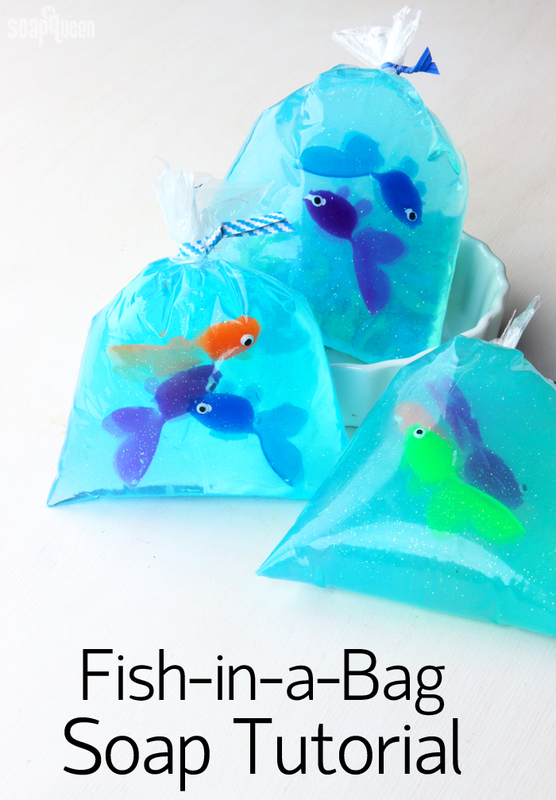 This Fish-in-a-Bag Melt and Pour Soap is definitely one of them! The idea is quite classic and has been recreated many times. Now that Bramble Berry carries cute toy fish, I had to revisit this project. For a twist, I added Brilliant Blue LabColor and Fine Iridescent Glitter. You can’t go wrong with color and sparkle! Apple Macintosh Candle & Soap Fragrance Oil adds a fruity scent and leaves the soap crystal clear. Not all fragrances keep soap crystal clear so keep that in mind when making this project. If you have cloudy soap, it might be the fault of the fragrance oil. 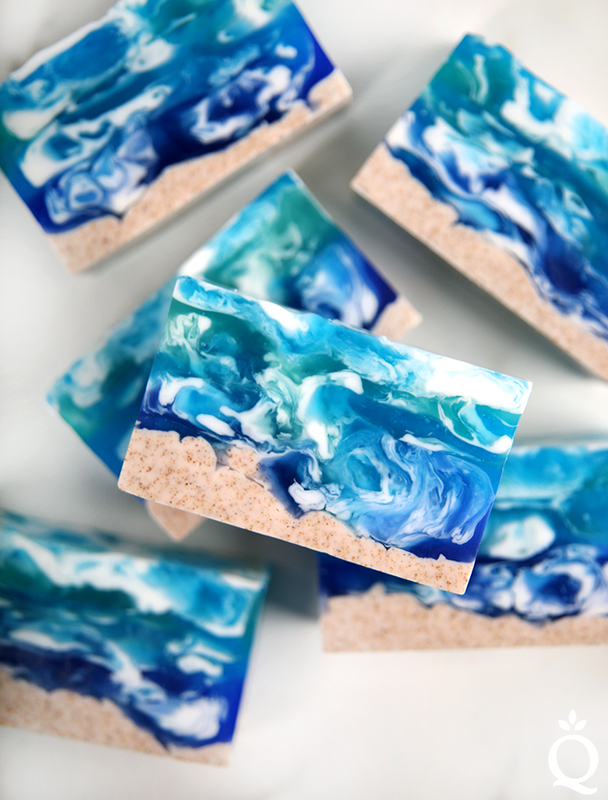 Kids love this soap, and it is perfect for party favors. Some tutorials hang the plastic bags and pour the soap into the bag. I found that the fish went straight to the bottom, which made them look dead; definitely not what we are going for! 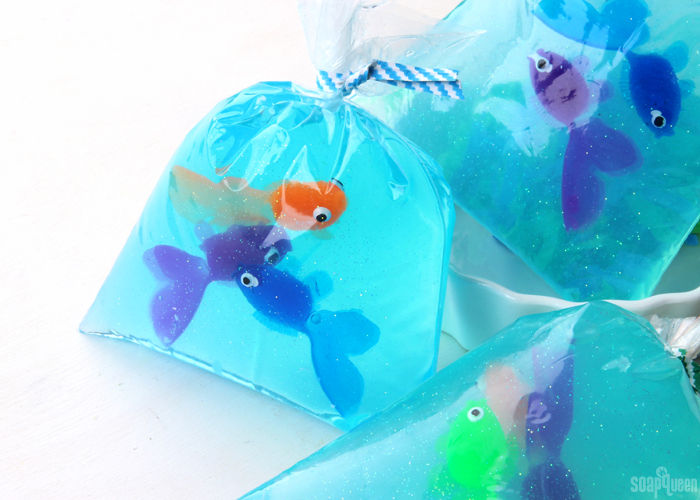 Another option is to pour the soap into the bag halfway, allow the soap to cool, then place the fish in and fill up the bag. This is an option, but I wanted to make this project as quick and easy as possible. To keep it simple, I poured all the soap into the bag, and dropped the fish in. Then I clipped the bag with binder clips to seal it and laid it on my counter. The fish fall to the side of the bag. I let the soap cool for about 10 minutes, then flipped the bag over to the other side. The fish stay put, while the other side cools and hardens completely flat. This allows the front to have a natural rounded shape. Once you’re ready to use, peel away the bag and enjoy! 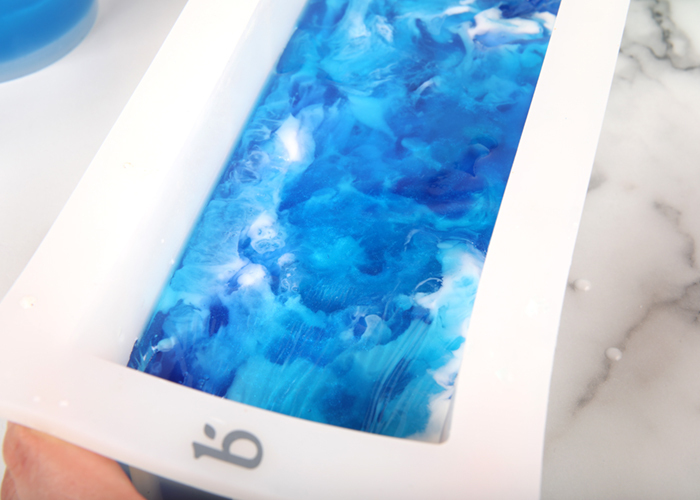 Last week, I shared 5 Tips for Swirling Cold Process Soap. Swirls are possible with melt and pour, but can be a bit tricky because the soap hardens quickly as it cools. 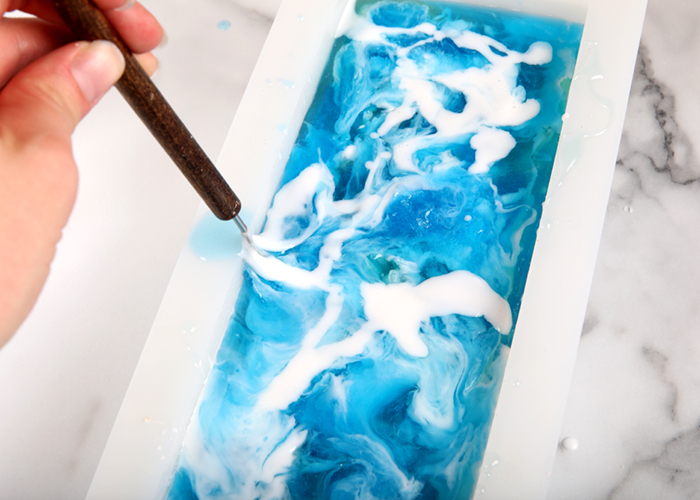 Swirls in melt and pour soap end up looking much different than in cold process soap. 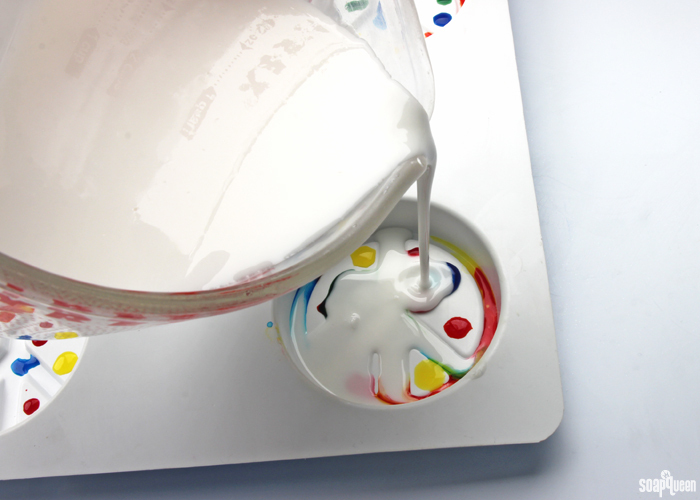 You can read more about my tips for swirling melt and pour here. Right now, I’m playing with the Stephenson Suspension Melt & Pour base to create swirls in melt and pour so be sure to watch my Snapchat stories (bramble-berry) to follow along over the next few weeks with that project. But for now, let’s move to layering. While melt and pour can’t swirl quite like cold process can, melt and pour can create extremely clean and straight layers. 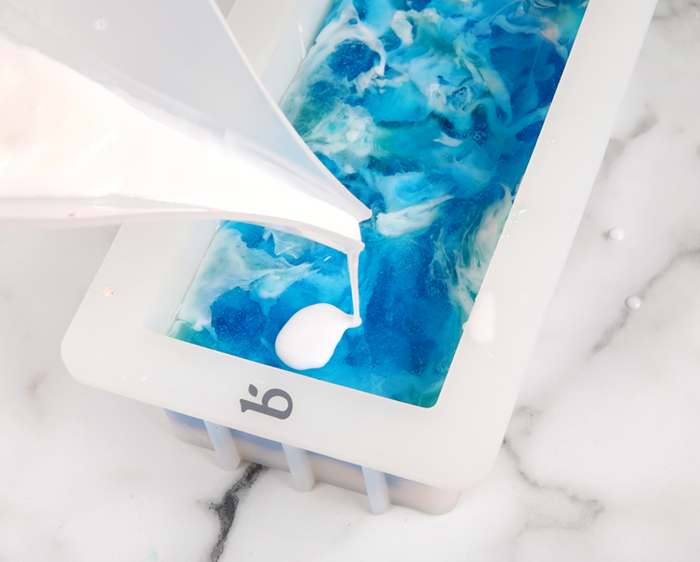 Because melt and pour soap cools quickly, you can wait for the soap to completely harden before pouring the next layer. This prevents the top layer from breaking through to the bottom, which is easy to do in cold process soap. 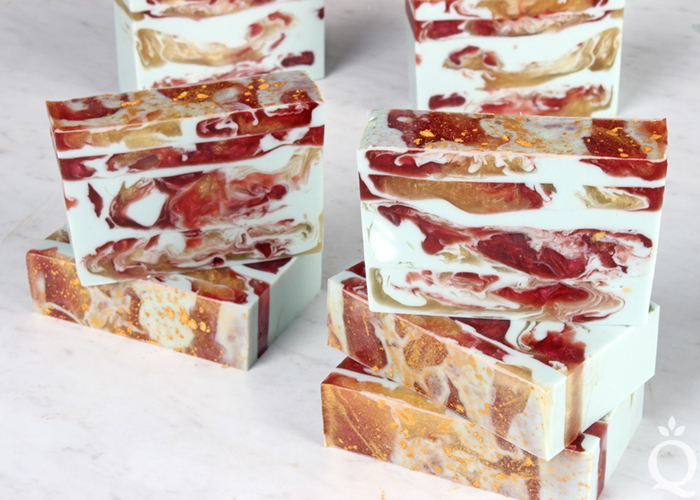 Creating layers with melt and pour soap takes a little patience and a little practice. 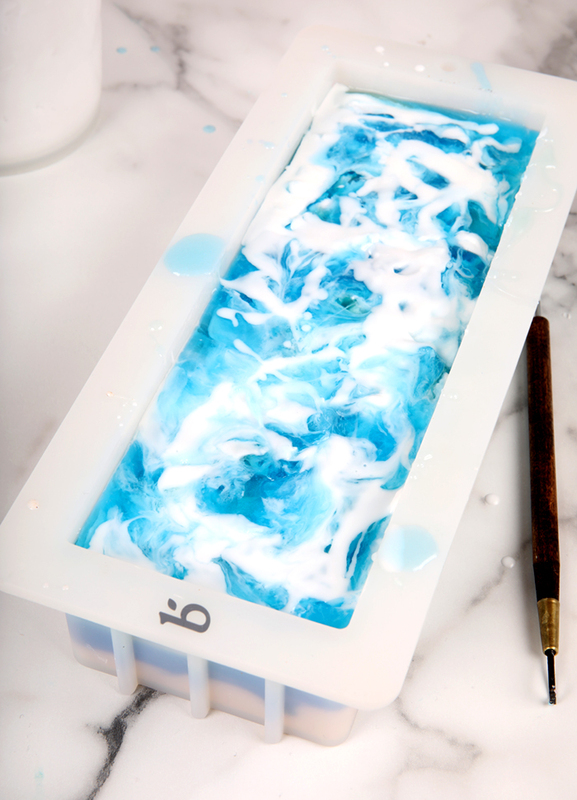 Below are my top five tips for creating layered creations in melt and pour soap. 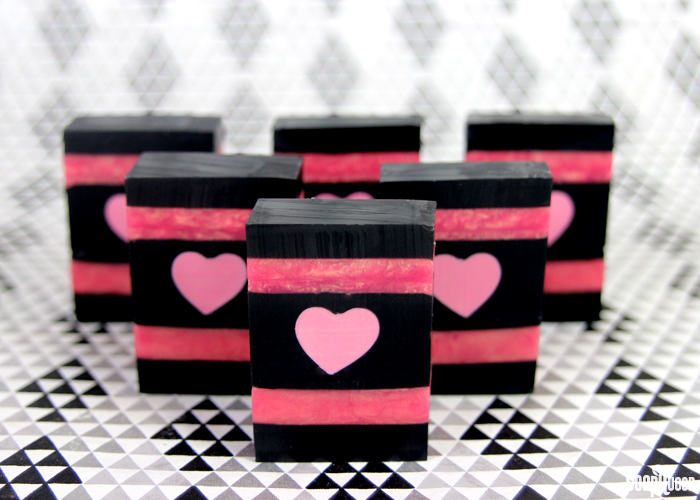 Melt and pour creates clean layers in the Rose Gold & Charcoal Heart Melt and Pour Soap. With melt and pour soap, temperature is key. Melt and pour begins to melt around 120-125 ° F. When pouring layers, it’s crucial that the top layer is not too hot or it will melt the soap below. Make sure that the top layer has cooled to 125 ° F or below before pouring. Because temperature is so important, I recommend investing in an infrared thermometer for more layered melt and pour projects. If the top layer is too hot, it will melt and layer below. Always allow it to cool before pouring! While I’ve never been a person that just has to watch the game (football, baseball, basketball or soccer), I love the social aspect around watching sports. Sports are a great reason to get together with friends and family, eat delicious food and root for your team. In particular, football is one of my favorite sports to watch. It doesn’t hurt that the Seattle Seahawks have been in the Super Bowl two years in a row (Go Hawks!) 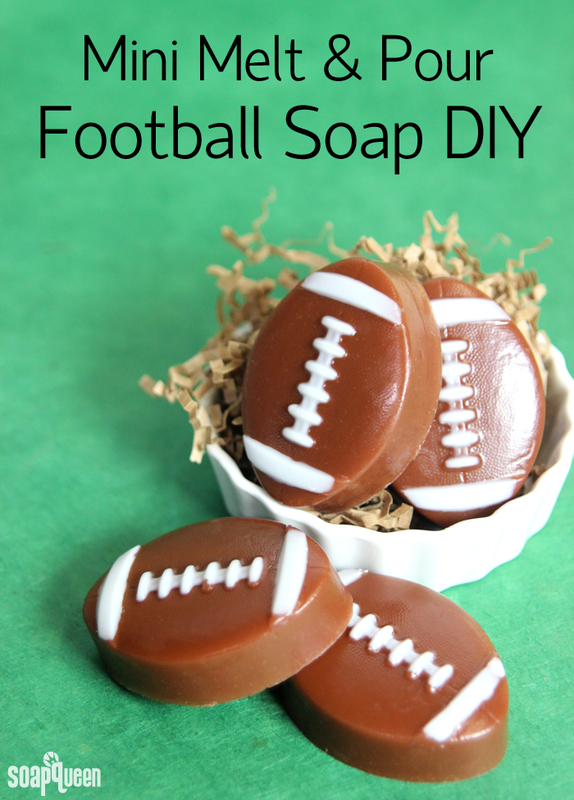 =) If you’re looking for a fun project to celebrate the end of football season, these Mini Melt and Pour Football Soaps are perfect! 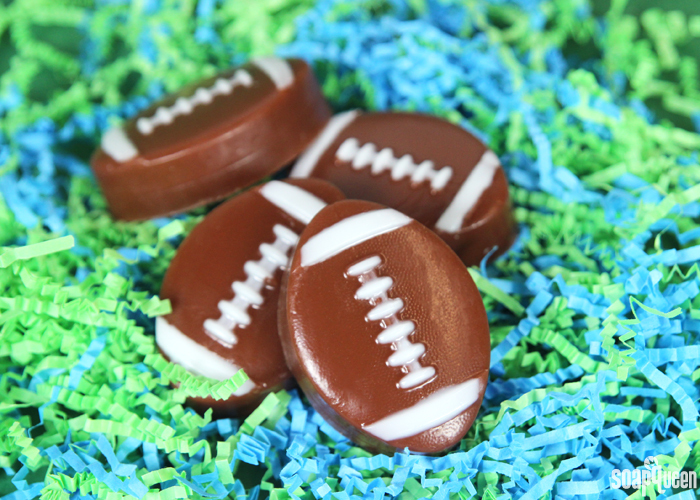 The Guest Mini Football Mold creates four adorably small soaps that fit perfectly in the palm of your hand. This project is straightforward; simply use the Injector Tool to fill in the lace details with white soap, then pour the brown soap on top. Filling in the details does take a little practice and a steady hand. I find spraying the mold with a thin layer of 99% isopropyl alcohol before using the Injector Tool helps small amounts of soap “spread” into the cavity details. I scented these soaps with Grass Stain and Leather Fragrance Oil for a combination that’s both fresh and slightly smoky. 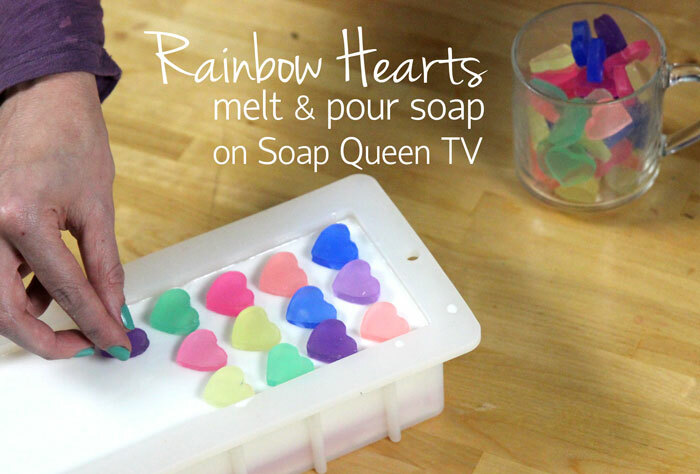 This Rainbow Heart Melt and Pour soap will make you smile with plenty of sparkle, color and hearts. Inspired by a previous Soap Queen tutorial of the same name, the design has been updated to include more hearts and color in each bar. Pink Grapefruit Fragrance Oil gives the project a bright and happy scent. This melt and pour soap includes six vibrantly colored heart embeds created with the Mini Heart Silicone Column Mold. Color blocks are used to give each heart a different rainbow hue. To help the layers and embeds adhere, having a bottle of 99% isopropyl alcohol nearby is crucial. Spraying rubbing alcohol in between and after pouring layers helps the soap stick together, and disperses any bubbles on top.